Following the release of the 2018 MacBook Pro refresh, Apple has quietly, finally, stopped selling the 2015 MacBook Pro as new on Apple.com after a three-year run. 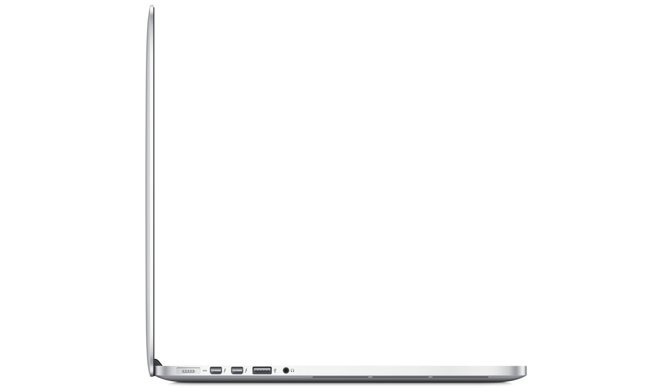 The refresh of Apple's MacBook Pro page early on Thursday eradicated the listing for the 2015 model. Fans of the machine refer to the legacy ports on the machine, including USB-A, as well as the older keyboard, as reasons why they seek out the older machine. Intel's failures over the years to deliver faster processors led to a situation where the 2015 MacBook Pro was competitive with even the 2017 model in CPU calculations, but not GPU performance. AppleInsider has spoken to several sources at retail regarding the matter. All of our sources have informed us that the 2016 MacBook Pro have outsold the 2015 dramatically, with one person we spoke to telling us that the ratio was 48 of the newer machines to one of the 2015 for the last few months. Additionally, quantities of the older machine received for stock have been extremely limited for the last few weeks. We were advised that if a customer wants a new 2015-era MacBook Pro, they should seek them out at retail now, as restocks going forward aren't expected. Refurbished models are likely to remain on Apple's sales portal for some time. AppleInsider compared the 2015 and 2016 MacBook Pro lines, finding the 2016 better in nearly every regard. Apple's 2018 15-inch MacBook Pro line come with new processors, with six-core options, up to 32GB of RAM, up to 4TB of storage, and an option for a True Tone display. Prices range from $2499 to $6699 at the high end. For discounts of up to $325 off 2015 models, please see our 2015 15-inch MacBook Pro Price Guide.